Color: K Blue, D Blue, White, Green, B Green, Black, Golden, Yellow, Red, etc. Our client can avail high quality range of Cosmetic Bottle Cap. This range is highly suitable for glass and plastic bottles as well. Our range is widely known for its durability and quality. Our team of experts assists us to satisfy clients by providing the best quality work in this fast changing and competitive business environment. 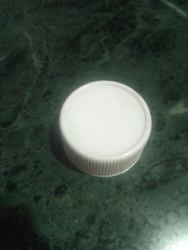 Plastic Bottle Caps is used in many industries like liquor, medicine, food etc. We provide high quality Plastic Bottle Caps plain in different size and different necks. We specialise in glass bottle caps with seal 28mm.